We recently wrote about pretty flowers that you can wear in your hair. Today, we’re thinking of even more flowers to adorn the hair and some specific ways that you can wear them. Even if you have the most beautiful bloom for your hair, you need to find a way to secure it to your head if you want to go out and show if off. We’ve put together a few methods for fixing flowers in your hair so that they’ll stay with you all day long, or into the evening if you want to look flowery for a night affair. 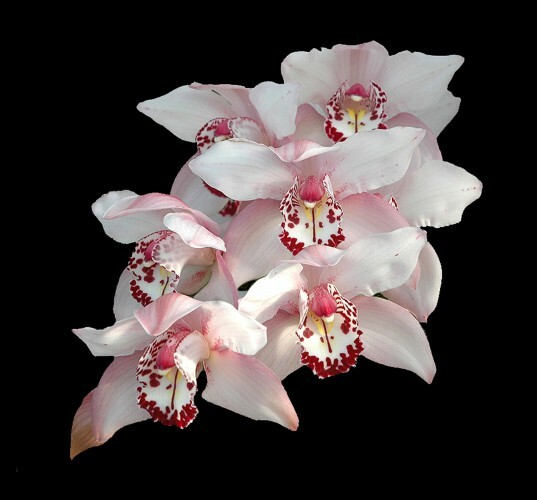 Orchids look stunning in the hair when affixed to a hair comb and tucked behind the ear. You can use bobby pins to secure an orchid to a plain comb, or you can rubber band the flower to the comb. Wondering which orchids look best in hair? There is no favorite, in our opinion. Go with white, pink, cream, or whatever color best suits your mood. Flower crowns can be simple to make or a bit complex. You can easily make slits in the stems of daisies to thread other flowers through, and make up a loose crown that will last you a few hours. Or, you might want to go the wire and tape route to create a sturdier flower crown that will take you from day to night, for a wedding or a festival. We love the idea of pinning mini roses to a headband to create a beautiful look for a party, shower, or daytime wedding. When you create your rose headband, choose any shade of rose that you like. We love all white or all red rose headbands, but you can craft one in other colors or multi colors. In addition to these ways to wear flowers in your hair, we love the idea of pinning a single pink daisy behind our ear or crafting a ring of mini roses (or button daisies) to wrap around a hairband when you’re wearing a ponytail. Wearing flowers in your hair is all about expression. It’s something that can actually be done any way you want, so have fun playing around with different blooms and coming up with styles that are truly you. We recently wrote about pretty flowers that you can wear in your hair. Today, we’re thinking of even more flowers to adorn the hair and some specific ways that you can wear them.Even if you have the most beautiful bloom for your hair, you need to find a way to secure it to your head if you want to go out and show if off. We’ve put together a few methods for fixing flowers in your hair so that they’ll stay with you all day long, or into the evening if you want to look flowery for a night affair.